These checkboxes can be enabled, disabled or merged using according options in Dashboard > Forums > Tools > Privacy & Rules admin page. User should be informed, that after the registration he/she will get an email with registration confirmation and new password setting link. He/she should also agree to get this email. Based on these rules, wpForo allows forum admins add a required checkbox on registration page. 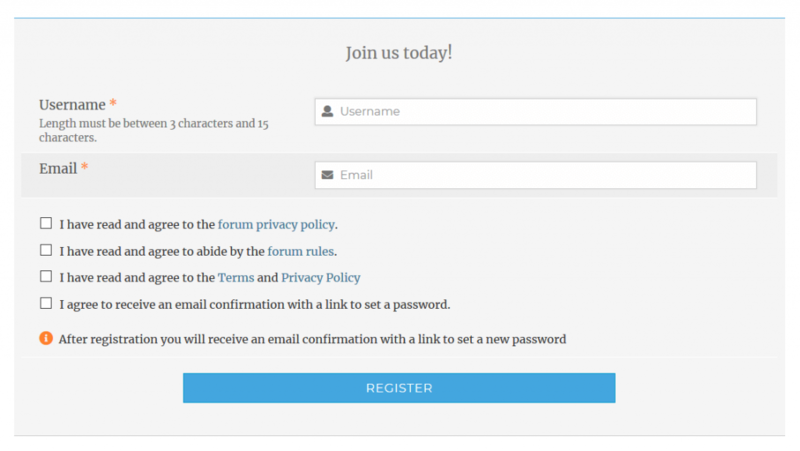 Forums are governed by a set of individuals, collectively referred to as staff, made up of administrators and moderators, which are responsible for the forums’ conception, technical maintenance, and policies (creation and enforcing). Most forums have a list of rules detailing the wishes, aim and guidelines of the forums’ creators. 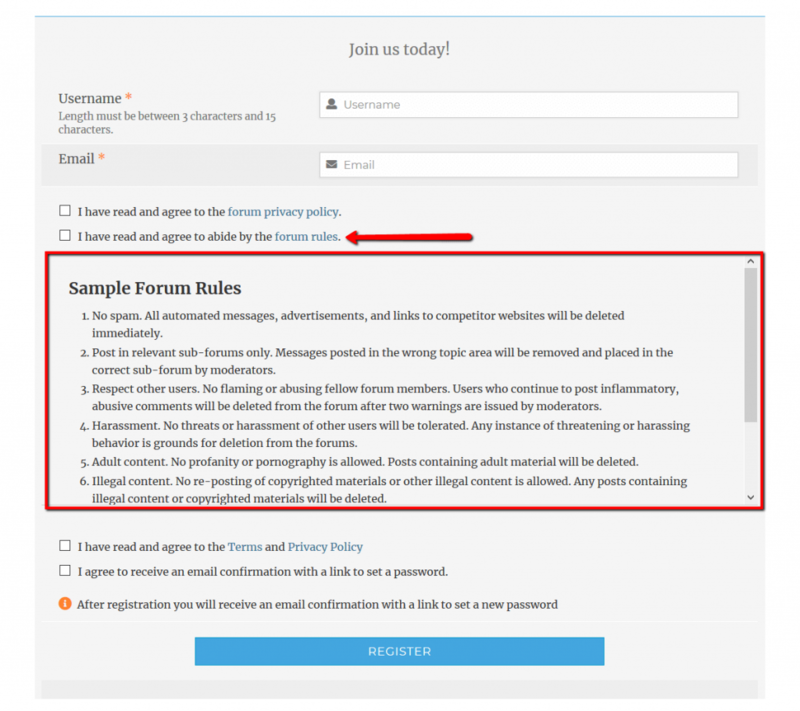 Forum rules are maintained and enforced by the moderation team, but users are allowed to help out via what is known as a report system. 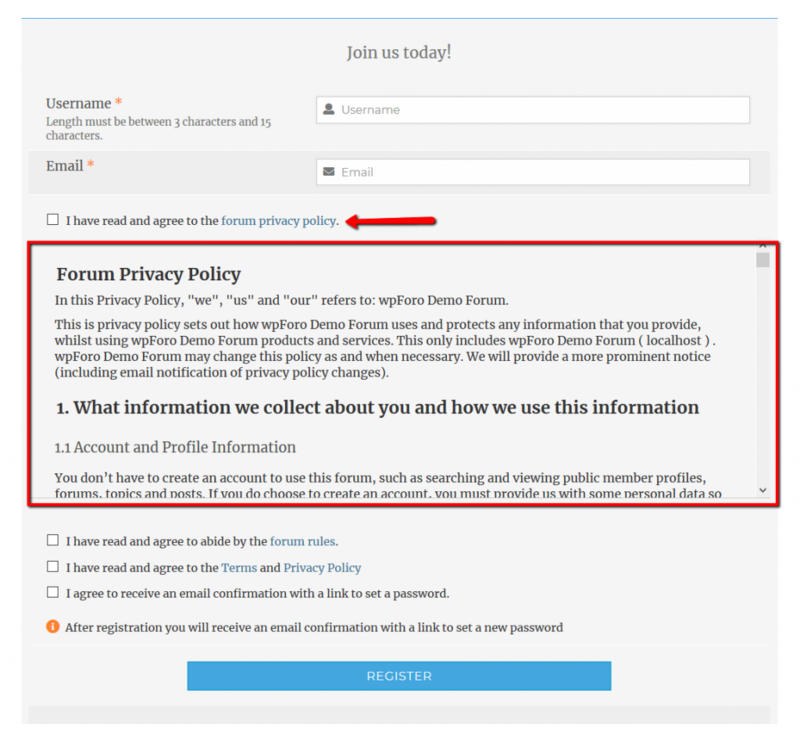 User must read and agree to abide by your Forum Rules to be able continue the registration. This is a require checkbox. 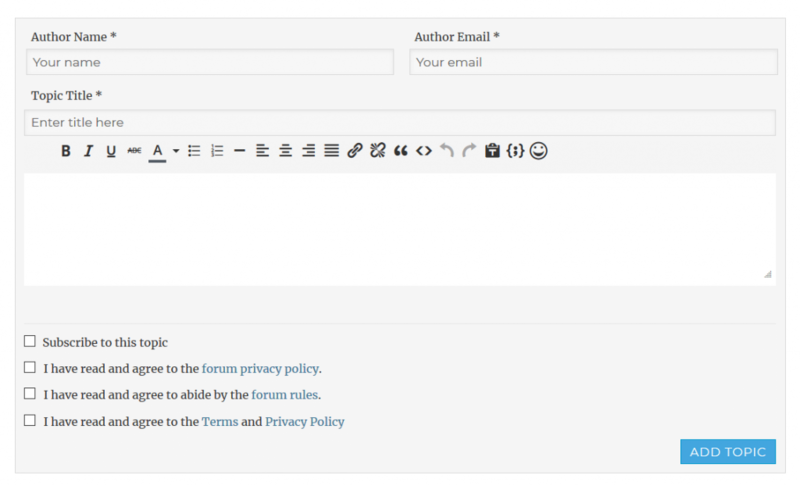 You can edit forum rules in Dashboard > Forums > Tools > Privacy & Rules admin page. There is a simple forum rules based on a few basic points. You can edit this text and add your forum specific rules.